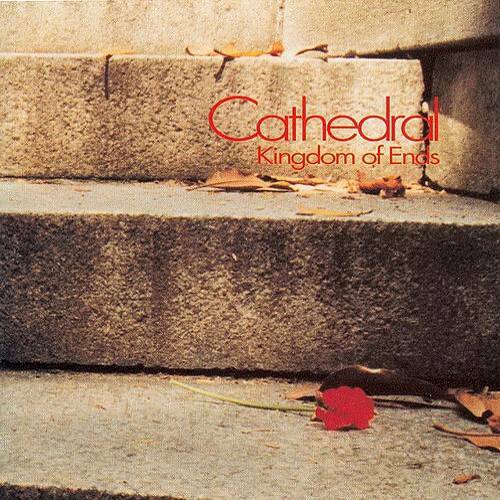 Kingdom of Ends is the first CD by the Washington, DC based five-piece Cathedral. Their sound is firmly in the neo-progressive camp, perhaps more radio-ready than most. Their sound blends tried and true progressivisms into an accessible format, fronted by lead vocalist Ted Thompson, while still offering plenty of instrumental fire and spirited solos. At times they may remind of Pendragon in earlier years, but such a comparison only accounts for an overall sound, and doesn't factor in Cathedral's superior compositional skills; their instrumental passages deliver far more eloquent and provocative moments than the aforementioned - and nowhere is this more evident than the instrumental break in "Psychotic." Yet they still show a good pop sensibility with tracks like "So far from Home," which seems to have all the makings of a successful pop track without the sugar coating. These guys show a lot of promise, and fans of the neo-progressive sound will surely enjoy this album beginning to end. Here we have another band named Cathedral, not to be confused with the UK band or the US band reissued on Syn-Phonic. Kingdom of Ends is a reissue of sorts in that it is a compilation of two four-song EPs independently released over the past two years. Unfortunately the weakest song on the album, "Beneath the Wheel," is the first one you hear. Ted Thompson’s whiny nasal voice destroys any enjoyment you could get from the music. Kinesis would have done well to omit it from this release. Fortunately it is all uphill from here! Cathedral displays a strength of purpose previously unseen. Ted’s vocals are orders of magnitude better and the musicianship of the other band members is exemplary. Influenced by bands like Genesis, Marillion, and FM, Cathedral forges a distinctive music. Even though they have a keyboardist, the guitar is always at the front of their music. You can easily hear Steve Hackett’s influence in Gary Sisto’s chops. Kingdom of Ends reaches its pinnacle with the final song "Pinocchio." Here Cathedral excels with an extended guitar solo that is alone worth the price of the disk. Cathedral is a domestic band on the rise.